Join us for a film screening, music, food and more on the occasion of the Athens Polytechnic Uprising commemoration day! Admission is free! Homemade food will be sold at the SOAS Junior Common Room from 19.30 onwards. Proceeds and donations will go towards the running of the Refugee Legal Support project in Athens! “Spectres Are Haunting Europe” is an award winning documentary by Maria Kourkouta and Niki Giannari. 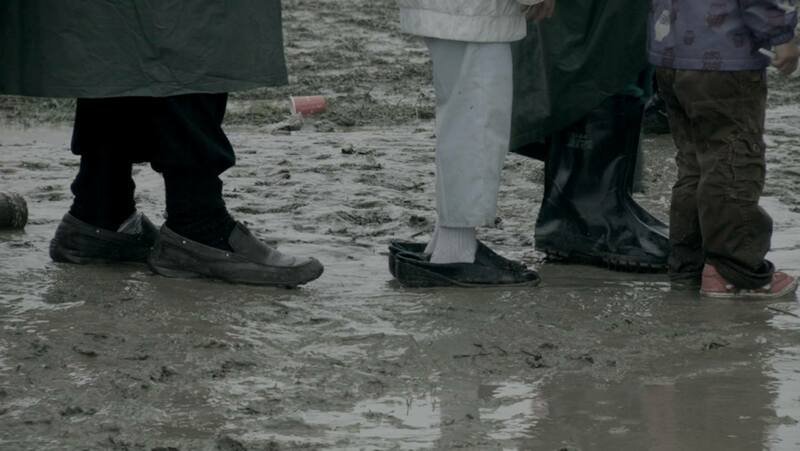 Starting as a project about the Greek Civil War, it developed into a documentary following the daily life of refugees (Syrian, Kurdish, Pakistani, Afghani, and other) in the camp of Idomeni in Northern Greece. One day, Europe closes its borders for them once and for all. The film is “a call to welcome the refugees that cross the European borders, as well as the ghosts that return with them”. The SOAS Rebetiko Band is “diasporic music-making in action”. Created out of Ed Emery’s musical seminars at the School of Oriental and African Studies, they have worked hard to highlight the shared musical cultures of Greeks and Turks. Rebetiko is a broad music genre of Greece, consisting of urban songs and instrumental music which developed in and around the major port areas of Eastern Mediterranean (Smyrna/Izmir, Istanbull, Syros, Piraeus and Thessaloniki).